Sweet Like Candy by Arianna Grande is a new fruity floral gourmand perfume. The sweet new fragrance for women includes scent notes of berries, candy, florals, fluffy marshmallow, precious woods, and vanilla. The original ARI perfume perfume bottle gets a light pink matte update with a matching light pink pom-pom accent. Launched in July 2016, this perfume is available in eau de parfum spray (1 oz - 3.4 oz, $39-$59), rollerball ($20), and hair mist ($20). 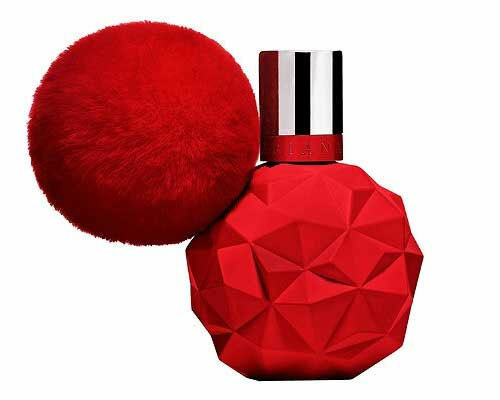 A limited edition bottle in red is available in an eau de parfum spray (1.7 oz / $49).